UPDATE: My doc, “Confession to Murder (Part I)” : first broadcast May 18, 2012. One month later police began their undercover operation at the same trailer park where I interviewed Anthony Ringel. And a several months after that, in February 2013, they re-arrested him for the sexual assault and murder of Christine Harron. Yesterday, October 11, 2016, Ringel pleaded guilty to sexual assault and 2nd degree murder. Ringel was sentenced to life in prison with no chance of parole for 12 years. Christine Harron, age 15 from Hanover, Ontario, was a quiet rebel, with a few close friends. She loved her books, children, and the outdoors. On May 18, 1993 she left her house in Hanover, Ontario at midday to go to school. She walked down the street and turned a corner into the unknown and was never seen again. The local Hanover police believed her a runaway at first, and the investigation got off to a shaky start. They turned up nothing in the six years they held carriage of the case. Then in 1999, the OPP took over, re-investigating extensively, but still coming up empty. Then, in August 2004, 11 years after Christine’s disappearance, 36 year old Anthony Edward Ringel, also of Hanover, comes forward to police, confessing to her murder. Ringel is arrested and interviewed by the OPP. All seems well until the pretrial, when the case is stayed against Ringel after it is revealed that the OPP made several egregious errors during their investigation. Errors that were contrary to “normal” police procedure, and that interfered with Ringel’s Charter Rights. Confession to Murder Part I tells the shocking story for the first time of how police errors led to the case’s collapse, and how family members, heretofore kept in the dark, make a dramatic bid for answers from the man who confessed. Ridgen’s interview with suspect Anthony Ringel in Confession to Murder Part I represents the first and only time that Ringel has ever been interviewed by anyone in the media in relation to the case. 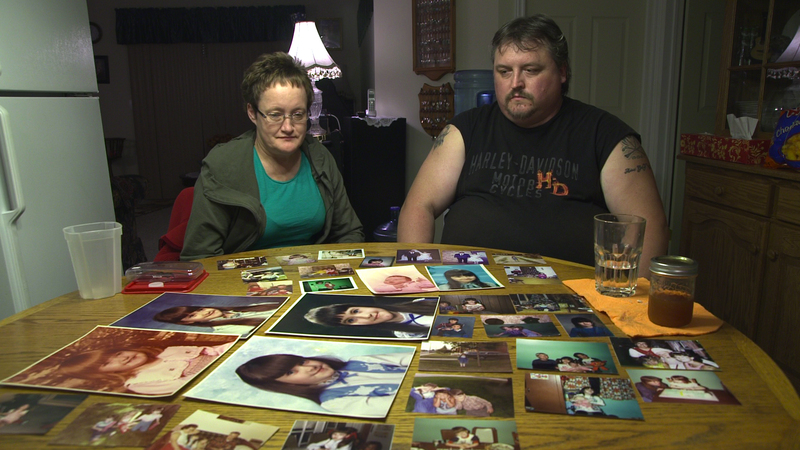 Eight months after this documentary aired, and six years after police errors closed the case, Ringel was arrested again for the first degree murder of Christine Harron. Follow the continuing story in Confession to Murder Part II. Canadian Cold Case is a story and character-driven revisiting of modern-era unsolved crimes involving Canadians from across the country. In each program, filmmaker David Ridgen works collaboratively with victim’s family members and others to return to crime scenes and hear the stories and voices of cases told through the eyes of those most closely connected to them. Programs will provide the opportunity to re-investigate tips and other avenues with the potential to generate new information that could, through the process, potentially re-energize cases.